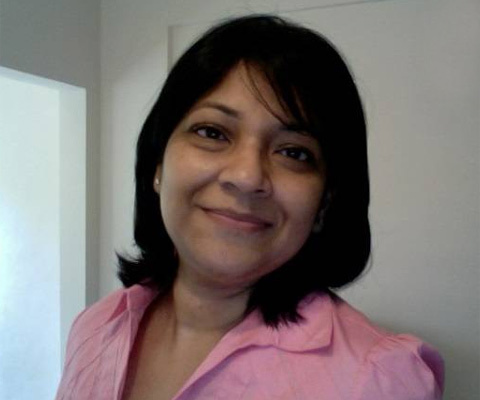 Ipshita Sen, a senior communications professional with multi-market and multi-discipline experience has joined Adfactors PR as Senior Vice-President, Consumer Marketing. Ms Sen has nearly 20 years of international communications experience, having worked across the marketing spectrum of advertising, corporate communications and public relations. As the Consumer Marketing Lead, Ms Sen will be responsible for building an industry-leading practice, bringing to clients unique, insight-based campaigns that drive results and support their business objectives. She will also use her extensive internal communications and employee engagement experience to help enhance the firm’s offering in the Employee Engagement space. Welcoming Ms Sen to the Adfactors family, Madan Bahal, Co-Founder and Managing Director of Adfactors PR, said, "We are very pleased to have someone of Ipshita’s ability and experience joining us. Her perspective on Consumer Marketing will add a new dimension to our service offering in this area - enabling us to adopt and incorporate global thinking and approaches into our clients’ campaigns." “Internal communications represents an increasing focus for our clients – whether to attract and retain the highest calibre staff, or ensuring integration of teams following an acquisition or merger. Ipshita’s experience in the field of Employee Engagement will strengthen our capabilities in this field,” Mr Bahal added. On her new role, Ms Sen said “I am very excited to be here at Adfactors PR. We know that brands, regardless of sector, are grappling with consumer engagement. Brands are trying to tell their unique stories and communicate how they fit seamlessly into the customers’ lives. In this ever-evolving market, Adfactors PR will offer clients truly customised and integrated solutions – both in consumer marketing and employee relations. A communications veteran, Ms Sen started her career at Rediffusion DY&R in Kolkata. She has since worked with Leo Burnett in Mumbai and South East Asia, Y&R in Dubai and Gulf Finance House in the Middle East, North Africa and London. She has been associated with highly successful campaigns for clients such as P&G, HP, GE, Tata Global Beverages, Titan, PayPal and Bosch. Prior to Adfactors PR, she was National Director – Client Strategy & Employee Engagement and Head of Southern Region at Edelman India, where she grew Edelman’s Bengaluru branch to a 65-member strong team, running large scale, integrated campaigns across multiple sectors.